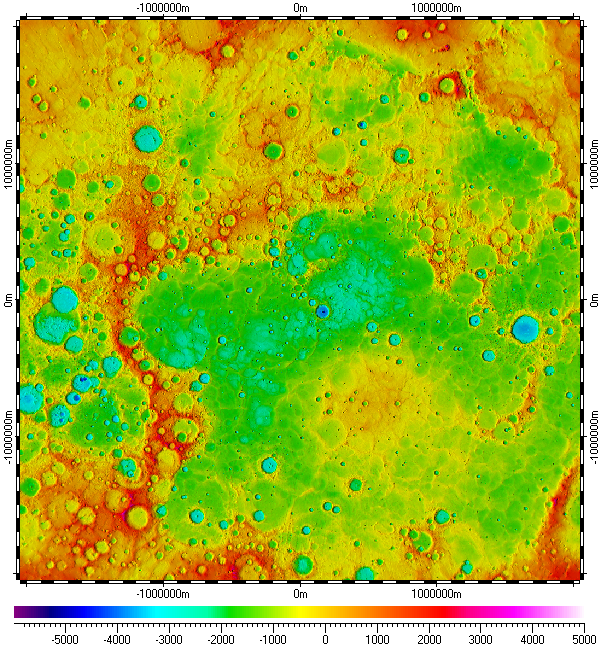 The datum of Digital Elevation Model of North Pole of Mercury, included in the archive, derived from raster data of Mercury Laser Altimeter (MLA) Mapping Phase, version 2 of MESSENGER mission, and distributed by Planetary Data System (PDS) of NASA. Base resolution of the datum is 250m. Also data with auxiliary resolutions of 500m and 1000m was used too. The data uses Polar Stereographic Projection with true scale latitude of 90°. MercuryNorthPoleHR.zip - Size: 333,479,055 bytes (318 MB); MD5: B20631966BD3B0BB9012B7557B6DBB1C.